There are several adverse health effects associated with bed bug bites including skin rashes, allergic reactions and psychological effects. This is a difficult pest to control, once a property is infested by bed bugs, they can be expensive to eliminate, and be traumatic for the families affected. Bed bugs are small, oval, brownish insects that live primarily on the blood of humans. Their flattened bodies make it possible for them to fit into tiny spaces, about the width of a credit card. They can enter your home undetected through luggage, clothing, used beds and couches. 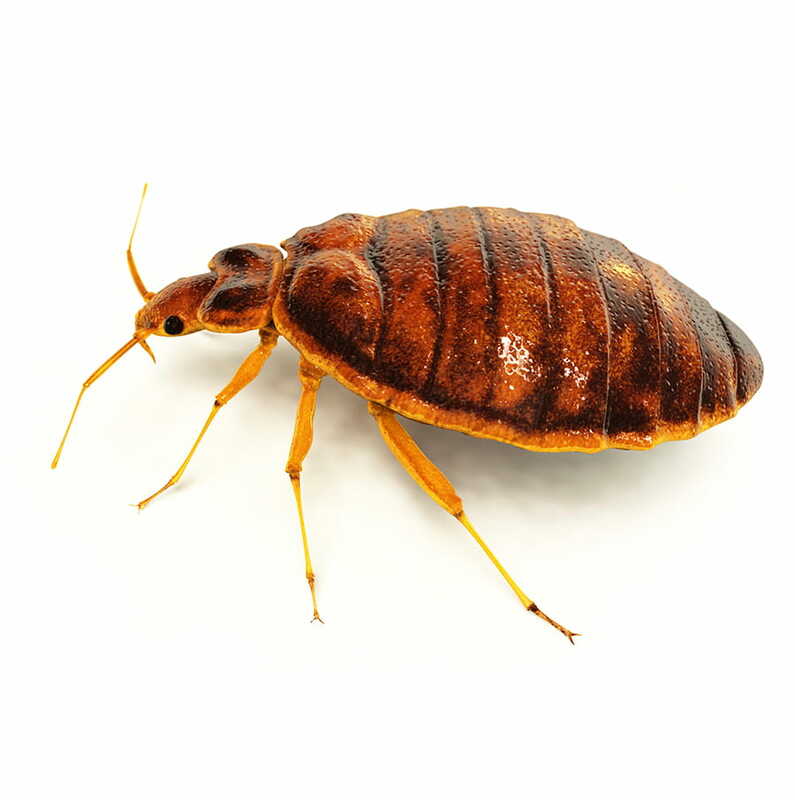 Bed bugs are gray to reddish-brown in colour and oval and flat in shape. They are quite small, measuring approximately 1 mm to 5 mm in size. Upon hatching, the nymph is a translucent flesh color which makes it difficult to see until it feeds for the first time–at which time is easily visible because of the red blood. Bed bugs are parasitic insects that feed almost exclusively on human blood. As their name suggests, they live near their food sources and warmth, which is commonly in bedrooms around beds, bed frames, and end tables. During the day, they hide in cracks and crevices and come out at night to feed. Although they typically feed on humans, they will feed on blood available such as birds and pets if they have no choice. A female bed bug can lay up to five eggs a day and as many as 300-500 eggs in her lifetime. She will produce a clear, sticky substance to attach each egg to the chosen surface, favouring cracks and crevices or rough surfaces. Depending on the conditions, the eggs will hatch between seven to 12 days. A nymph will go through five stages before full maturity—each stage requiring a blood feeding, which takes approximately four weeks. 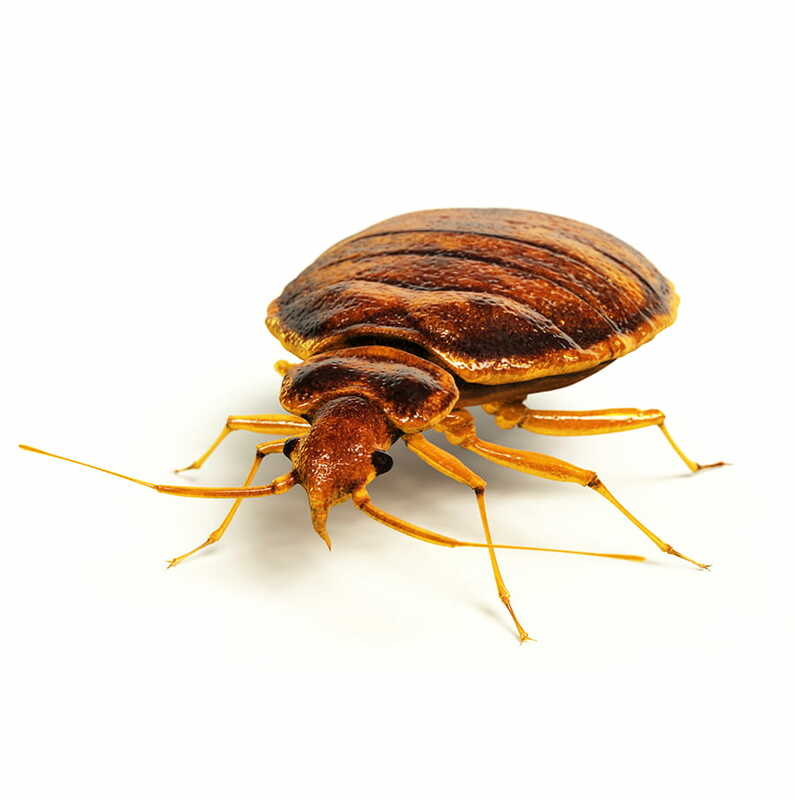 Depending on the environmental condition and food source availability, bed bugs can live from months to years. Are bed bugs a new pest? Bed bugs have been around for many years, but their populations were severely depleted in the 1940s with control products like DDT. The epidemic resurgence of bed bugs in recent years has been caused by lack of effective control products, increased international travel and several other factors including a general lack of awareness among the public. Another contributing factor is that most strains of modern bed bugs are highly resistant to available control products, making them difficult to eliminate. No one is immune to bed bugs, they can infest any property. They are great hitch hikers and can easily be picked up in a hotel or even on public transportation and brought home via luggage or even on a pant leg. 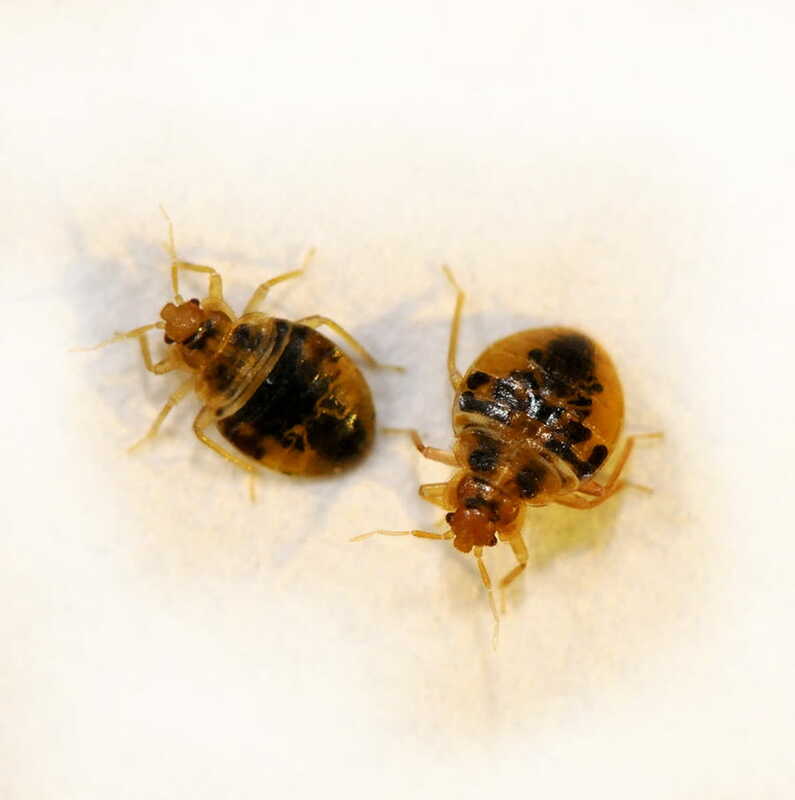 Bed bugs are often introduced into a home in used furniture or mattresses. They can travel unit-to-unit in multi-unit properties. Yes. Traditional control products have limited effects on modern bed bugs. These days, control involves a high-level of professional training that require a combination of steaming, vacuuming, spraying and dusting of key areas—a very time-consuming process. But done correctly control of bed bugs is highly effective. Do bed bug sprays work on their own? Spraying for bed bugs will not kill them as most strains of bed bugs have become highly resistant to pesticides. Spraying will actually spread the problem as it will cause them to disperse away from the bed to new hiding areas.